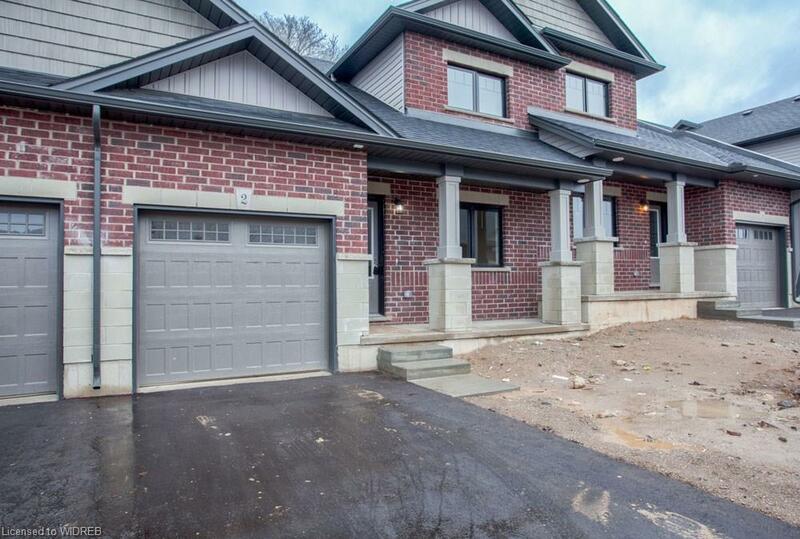 Brand new 4 bedroom townhouse located a minute from the 401. Perfect for commuters to London, KW, Cambridge and surrounding areas. This Bakersfield floor plan has large open kitchen and island with granite counter-tops, pantry, cathedral ceiling living room, bedroom/office and master bedroom with walk-in closet and cheater en-suite. The loft is open to the main level and has another bedroom and full bath. Fully finished basement with fourth bedroom, full bathroom, rec room and media room/office. This town-home plus upgrades totals $382,500...that's a $10,000 discount! Ask the listing agents for a full list of upgrades.